Nestled in tree-lined neighborhood, the tall pines surrounding the Bradley Twin Homes make going home feel like a trip to the North Woods. 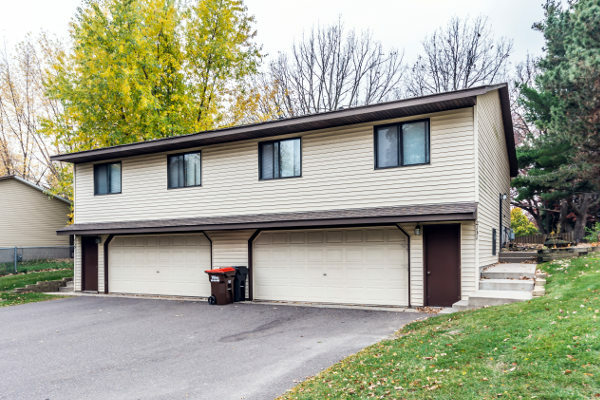 While conveniently located close to schools, retail and restaurants, these spacious homes are just 15 minutes away from downtown St. Paul, making for an easy commute. Just blocks from Gateway State Trail, an 18-mile paved trail perfect for biking, walking, roller-skating and cross-country skiing. These spacious 2-bedroom, 1-bathroom homes are surrounded by a large yard. Also included, a dishwasher, washer and dryer, deck, and a tuck-under double garage.